The utilisation of renewable energies is not at all new; in the history of mankind renewable energies have for a long time been the primary possibility of generating energy. This only changed with industrial revolution when lignite and hard coal became increasingly more important. Later on, also crude oil gained importance. Offering the advantages of easy transportation and processing also as a raw material, crude oil has become one of the prime energy carriers applied today. Moreover, natural gas used for space heating and power provision as well as a transportation fuel has become increasingly important, as it is abundantly available and only requires low investments in terms of energy conversion facilities. 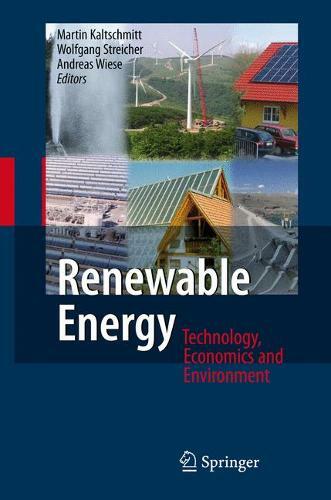 As fossil energy carriers were increasingly used for energy generation, at least by the industrialised countries, the application of renewable energies decreased in absolute and relative terms; besides a few exceptions, renewable energies are of secondary importance with regard to overall energy generation.